Model made from Gnomy toys. Ideas and trackplan for a US outline layout with diagrams and photos. Idea and trackplan for very compact US outline operations. 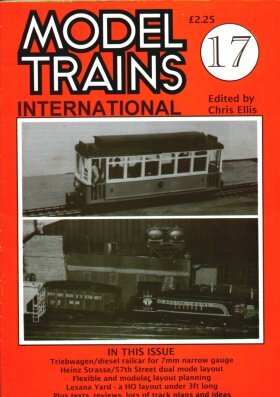 Dual­Mode, Two­level US & German outline layout, with photos and trackplan. Discussion about portability and expansion potential of small layouts with trackplans and photos. Structures made from old rolling stock, based on real US prototypes, with photos.